It’s that wonderful time of year again when most adults start to feel a bit of freedom in the air and a tremendous weight off their minds – yes, it is back to school time for the kiddos. For the past few weeks, my Facebook feed is wallpapered with friend’s photos of their kids first day of school for the new school year. Some kids come back with awesome stories of their first day back and others not so good. I ran across one a good friend of mine posted yesterday about how her daughter got onto the wrong bus and was hours late arriving home. I felt so bad for her daughter, especially since it was her first day of middle school! This event prompted me to share one of my funniest (yet scary at the time!) memories from my very first day of kindergarten. This is for you, with love, Miss Violet. It was late August 1977, and as all five-year old kids, I was overly excited, yet anxious for my very first day of school ever. My dad worked the night shift at Ford, so he was responsible for getting me ready for school and sending me off. Dad always took special care to either braid my long hair or brush it nicely into pigtails, with those cool and colorful marble ended hair ties – which I still cannot for the life of me figure out how to use! With my (awesome) Super Friends lunch box in hand and a small tote bag with my new Crayola crayons and #2 pencils packed into my pencil box, dad walked me to the front of the driveway early so we wouldn’t miss my bus. It was a good move on dad’s part, because just as we got to the top of the driveway, the bus flashed its lights and I got on the bus for the very first time. I found a seat quickly and waved goodbye to my dad. I couldn’t wait to get to my new school and meet all of my new friends! 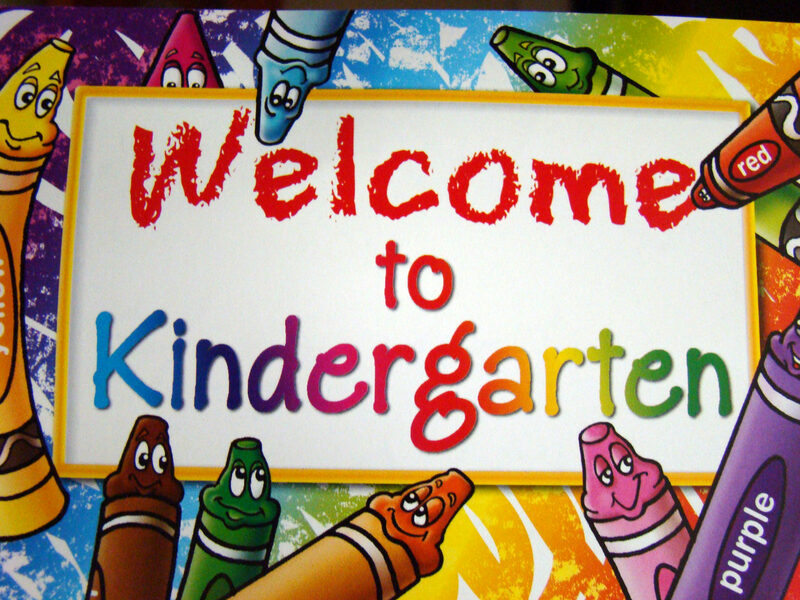 When we arrived at the school, I was quickly ushered into the classroom with all the other new kindergartners. We sat down as instructed and the teacher did roll call. Once the teacher called your name, you came up to the front of the class and the teacher placed a paper key necklace with your name on it around your neck. Funny thing was, I didn’t hear my name. My teacher walked me down to the principal’s office and told me to sit down as she explained the dilemma to the secretary. “What’s your name again?” I told them both, now starting to cry. Everyone had a key with their name on it, except me, I think that’s what upset me most. My teacher told me she would check back with us in a bit, and went back to her classroom. I sat there in the cold metal chair crying. The secretary brought me a cookie, some juice and wrapped her arm around me to comfort me. After making a few calls, the secretary and principal finally realized I was at the wrong school. The school district we lived in had two elementary schools and one junior and senior high school. Dad brought me out a bit too early for the bus it turns out, which resulted in me being on the wrong bus! Right bus number, wrong time. Since dad slept during the day and Mom-ster didn’t answer the phone, they had to keep me there for the day, in the wrong school. When I returned to the classroom, my teacher had a key with my name on it for me. I finally felt like I belonged. I had a fun day with kids I wouldn’t see again until a few years later when the district reconfigured the borders for elementary students and I returned as a genuine student. Later that night during dinner, I told my parents all about my first day in the wrong school. Mom-ster yelled at dad, even though everything worked out in the end. Anyone could have made that mistake. The next day dad put me on the right bus and I got to experience my first day in the right school. My somewhat terrifying first day in the wrong school was quickly a thing of the past in my mind. I guess I was pretty lucky to have not one, but two first day of school experiences! I’m sure my first day key, which I treasured and wore to my first day in the right school, got lost in the shuffle over the years in my parents house. I will always remember the kindness and compassion of the teachers and administrators that day I got on the wrong bus.